One of the shortest approach walks we ever had to go climbing. Our backyard for a week. It was the place we chose to stay to celebrate Mathilde's 12 yo birthday. 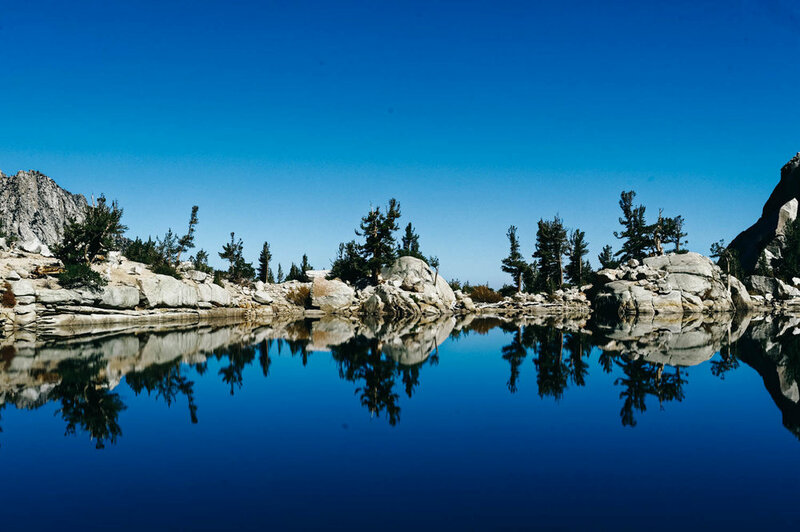 The Sierras (and Mt. Whitney) looming just behind the Alabama Hills. 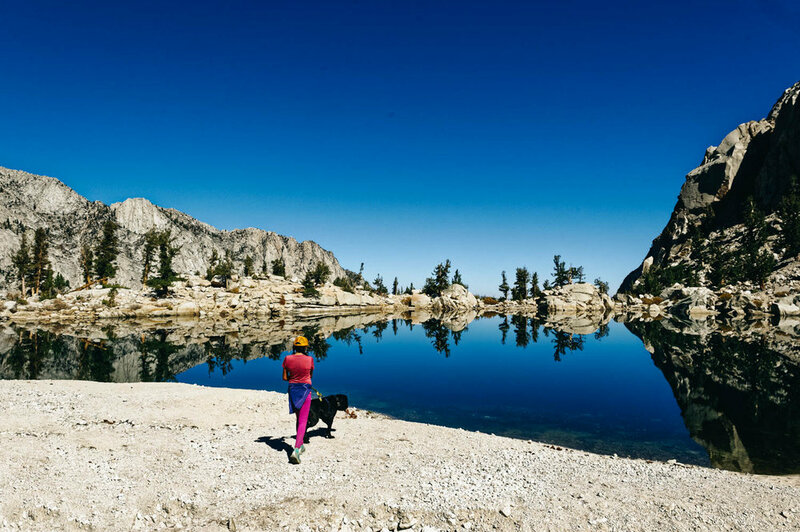 Hiking up to Lone Pine Lake from Whitney Portal. We ended up moving to Tuttle Creek Campground to have good signal to be able to work (Verizon signal is bad and spotty in the Hills, AT&T was better). For $8/night, this place was amazing. Site 53 at Tuttle Creek Campground. And we were very close to another climbing sector called the Candy Store, with fun short routes, perfect for a few climbs before sunset after a day of work/school. Very smoky sunset behind Mt. Whitney. 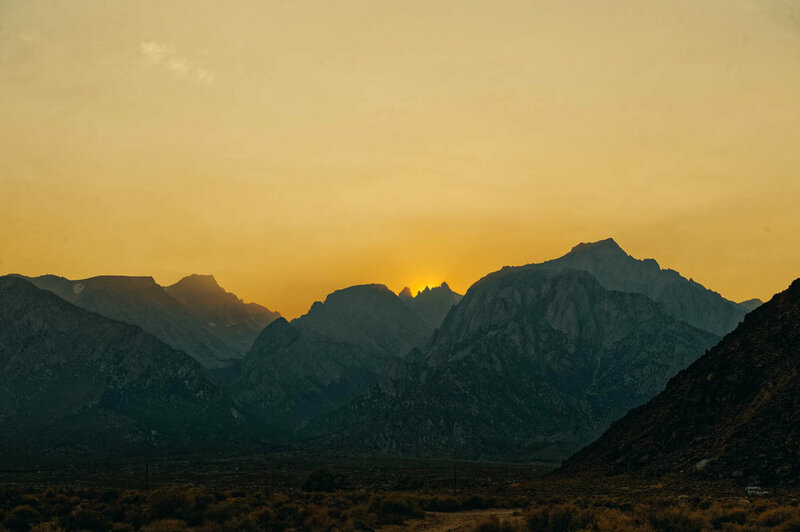 Red smoky sunrise in the Alabama Hills. 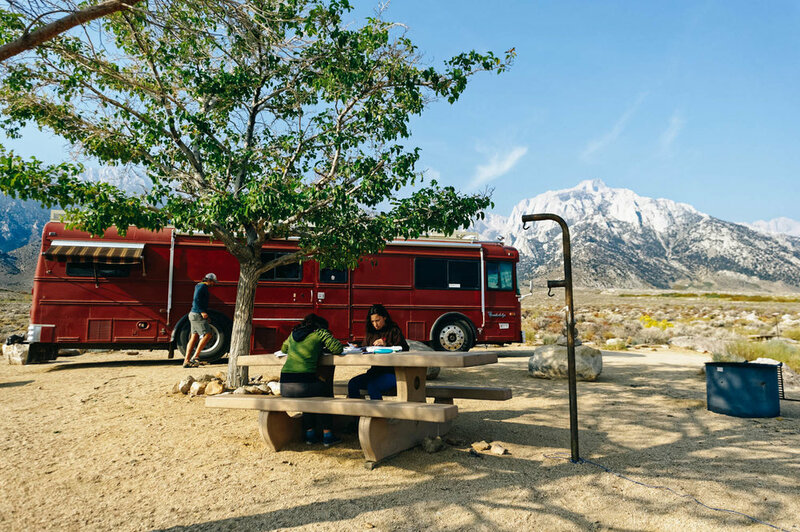 The Alabama Hills are probably the free camping spot that made boondocking what it is today. It's also a very unique location where more than 400 movies were shot (lots of cowboy movies, but a few Sci-Fi too... remember Tremors?). After having heard so much about this place and seen so many pictures, I was afraid to be disappointed. 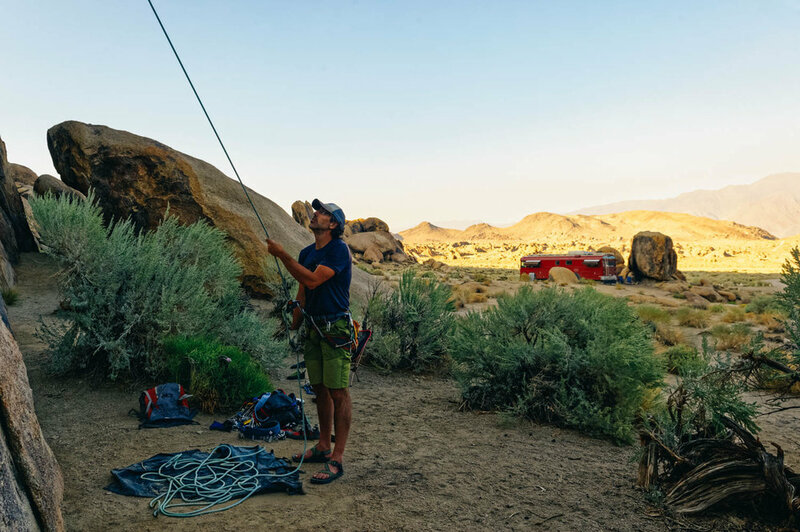 It is a super vast area where you can find a secluded spot between boulders and have climbing routes right in your backyard while looking at the sunset over Mount Whitney. Sounded too good to be true. Well, it almost is... if you need decent signal to work. But if you don't (we had 5 days off for Mathilde and JF's birthdays), it really is the perfect boondocking spot. For the work week, we ended up moving 5 miles away at Tuttle Creek Campground where there is very good Verizon signal (and beautiful campsites) for $8/night. 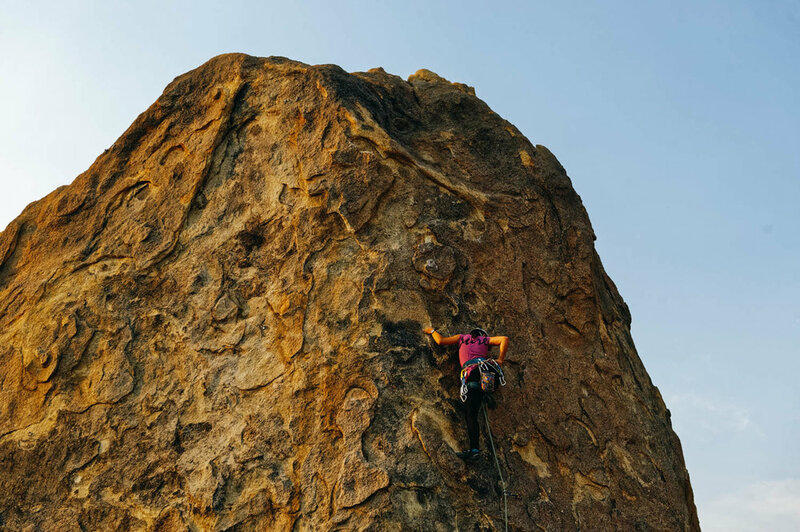 As for climbing in the area, there are tons of sports routes. 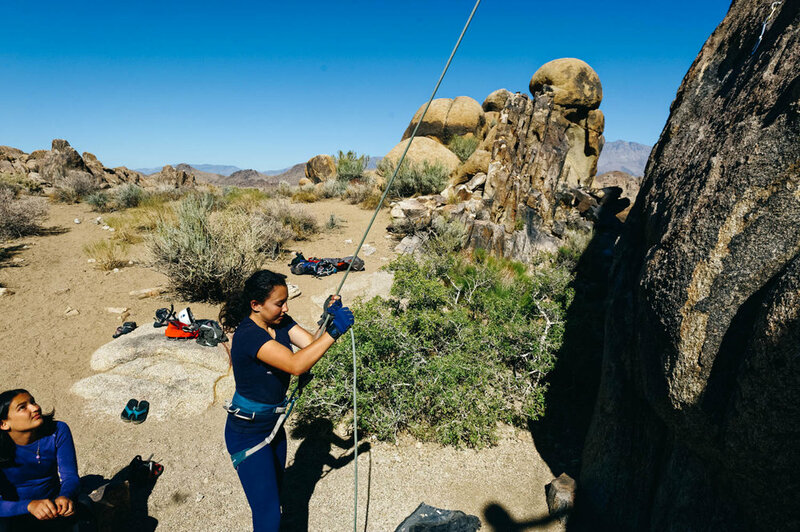 The granite is similar to Joshua Tree, there are lots of slabby routes with small crimpy holds. We loved The Tall Wall (Rotten Banana, Bananarama, Banana Split), the Hoodgie Wall (Ankles Away, Leonosphere) and had fun on the short routes in the Candy Store for quick afternoon climbs after work. We didn't make it to the Arizona Dome. We went to visit the Lone Pine Film History Museum and had delicious burgers (skip the fries, get the beer battered onion rings) at The Alabama Hill Café (note that it is only open from 7 am to 2 pm every day, no dinner hours). The grocery store in town is nothing great. It's pricey and the quality of the produce and meat is not great. You can dump ($5, no fresh water at the dump) and fill (for free, near site 50 by the out house) at Tuttle Creek Campground. You can also fill with water in town at the gas station near the city park.